Today we’re glad to release the next version of our tool that finds and removes duplicate files from your PC. Let’s check the main innovations of this release in detail. We’re proud to announce the brand new version of Detwinner, which will get the 2 (second) version number. Detwinner 2 will get updated interface with more convenient preview pane, that allows reviewing two files simultaneously to compare them. You will be able to select file which will remain on preview pane by clicking a small lock icon next to it, and any other selected file in this duplicate group will be compared against it. You could ask why is this feature required, as Detwinner finds exact duplicates with 100% accuracy, and there’s no need to compare them manually. 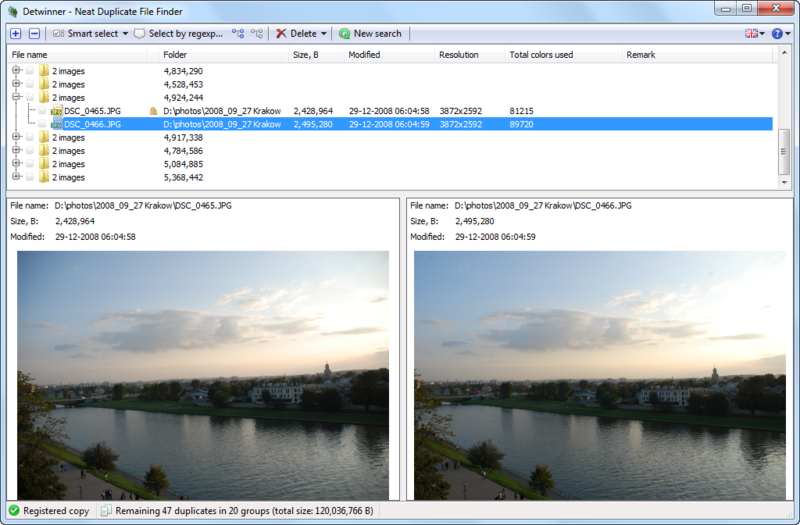 And the answer is that Detwinner 2 introduces a new option for searching duplicates: similar images search. If you’re professional photographer or just like to make some photos, you are familiar with problem of similar images. For example, you could make several photos of some place, and one of them is blurred, another – captured some unknown guy in the background, and just one or two are cool and deserve to be in your collection. Or you have played with Photoshop or Lightroom options to enhance your pictures, and saved several of them. And these are just the cases that we’re aware of, not talking about the silent backups that Picasa or similar applications create when applying some simple image enhancing. This leads to many similar images persisting on your hard drive, that are not equal by their binary content, but alike or even the same visually when you display them in your favorite graphic viewer. 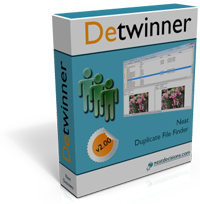 Detwinner 2 provides means to solve the problem of locating and these unneeded files, but decision about deleting them is up to you. And that’s where updated preview tool comes in handy. Stay in touch. Detwinner 2 will be here soon.